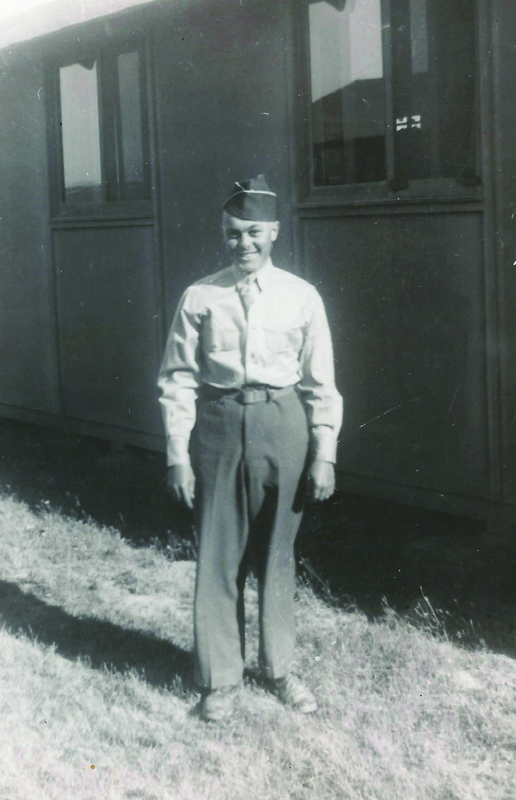 Lincoln, Neb., July 3, 2013 – Kathy Berrick grew up knowing her father served in World War II. Beyond that, details were hard to come by. During a function at St. Teresa’s School in Lincoln, Berrick started talking to Brian O’Grady, an interlibrary loan borrowing specialist with the University Libraries. As they talked, O’Grady mentioned that he was recording conversations with veterans to document war experiences. Berrick thought of her father. 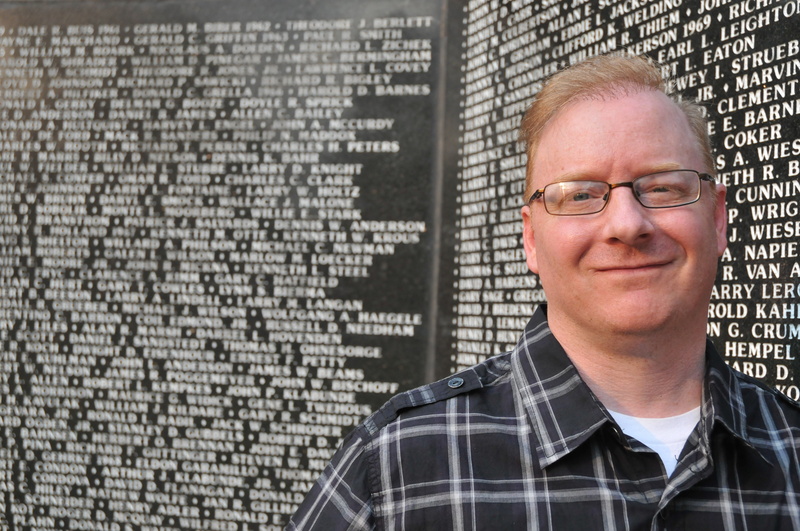 O’Grady’s veteran recording project grew from a fascination with the Battle of Tarawa. He hoped to write scholarly articles on the obscure, three-day World War II battle over a tiny spit of Pacific Ocean coral and sand. His attention turned after learning the battle had been sufficiently dissected by scholars. The first interview was in 2006 with Tarawa veteran Eugene Horst of Halsey, Neb., a machine gunner with the Second Division, Sixth Marines. “We talked for three hours. It included his experiences in Tarawa, Saipan and Guadalcanal. At that point, I decided that the interviews should be about the entire experience of the veterans and not just about one battle,” he said. 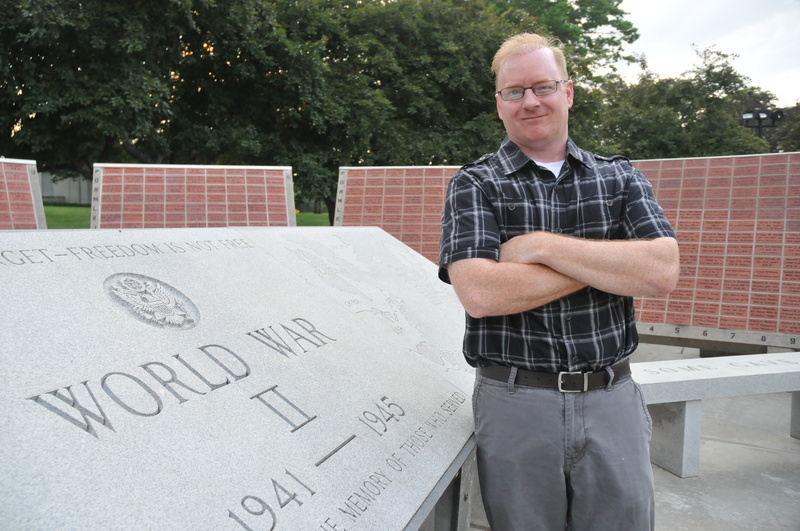 O’Grady has recorded the war stories of 20 Nebraska veterans. He focuses on World War II vets, documenting the stories before members of the Greatest Generation are gone. He also has talked to veterans from the Korean and Vietnam conflicts and plans to include more recent conflicts in the Middle East. He provides copies of the interviews to families. O’Grady also plans to publish the stories and possibly donate the recordings to a historical archive. Berrick’s father, Gerald Bichlmeier, did eventually talk with O’Grady. Berrick said she couldn’t believe her father agreed. Her surprise grew after watching the interview. Bichlmeier, who entered the Army on April 9, 1943, served in Europe with the 76th Infantry and was honorably discharged on Nov. 9, 1945, died in March. After the memorial, Berrick gave her brother a copy of their father’s video interview. Though he had farmed with his father for years, Berrick’s brother knew only a little about his father’s service. Anyone interested in sharing a veteran story can contact O’Grady at bogrady1@unl.edu or 402-472-7696.